1. What should the new DNR Proof of Stake reward be? Keep it the way it is!!!! "If you don't believe it or don't get it, I don't have the time to try to convince you, sorry." 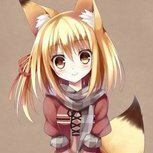 Another option -> Please post about it in this thread. How are the staking chances managed in PoSv3? Using nCoinAge? if (pindexBest->nHeight >= 400000) nSubsidy = nCoinAge * nRewardCoinYear / 365; (Keeps the current reward structure minus / COIN, higher PoS %) ? Staking chances are managed differently in PoSv3 with nMoneySupply generally and not with nCoinAge, nCoinAge is not factored in at all. POSv3 and please use an example with numbers inside the equation to show an expected output. If you hardfork, now would be the time to think of what direction you want to take DNR in as you might only get 1 chance on this. Well, PoSv3 will make it a whole lot easier to estimate how much the denarius supply will be x months into the future which could become useful. It will also make it a lot easier to calculate the actual PoS reward since it would become a function depending on only the current money supply and the interest, which is set in stone. On the other hand, and please correct me if I am wrong, but regular PoS would keep the inflation a bit lower because the reward would depend on the amount of coins staked instead of depending on the entire coin supply. So as some coins are always kept on exchanges,, less coins would stake resulting in lower overall PoS rewards added to the money supply. Currently https://chainz.cryptoid.info/dnr/ reports 76 peers seen in the last 24 hours, which is not that many. If @Carsen implements PoSv3 and then sets it to activate 1-2 months into the future, I see no reason why nodes should not have been updated by then - at the very least, pools, block explorers and exchanges wallets would have been updated and people who have not seen that a new wallet has been released will notice when their PoS blocks all starts to orphan, then go to the thread and then see that a new version is out. And as @buzzkillb said, if we are going to hardfork, it might be worth really considering what other changes needs a hardfork and incorporate them as well, preferably with an activation around the same time as PoSv3. Changes that spring to mind are the DNS functionality and masternodes, which 76% of voters said they want. Of course if either of these two things were to be incorporated, the activation date would likely be pushed further into the future. Added stuff about regular PoS. Can we get a math equation that shows us what all the three options are? Or an explanation? 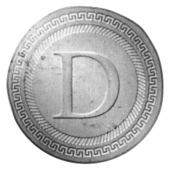 Option 1 would be to keep Denarius and its PoS reward the way it is currently, essentially no change. Option 2 would be to keep the current PoS reward structure of Denarius, but modifying it ever so slightly to give an actual 6% APR return on your coins based on their age. Option 3 would be to change the current PoS reward structure completely to remove CoinAge as a factor entirely and to upgrade the system to PoSv3 which still has its caveats, but the APR rate could be fixed to 6% as well. Option 4 is to give your own suggestion here.